Private 35366, George William Herbert, 2nd Battalion, Royal Welsh Fusiliers. George was born in 1884 in Millwall and was very young when his parents, David William Herbert and his wife Anna Maria (née Botsford) moved to David’s home town - Newbury. George was their first child, his siblings were all born in Newbury; they were: Grace Annie (born 1889), Albert Botsford (1893), Jessie Emma (1897), and Evelyn Alice (1905). A sixth child died in infancy. George was educated in Newbury, first at the Boy’s British School and then, thanks to a scholarship from the local Kendrick Charity, at Newbury Grammar School. This education prepared him for white-collar work, which he began in the office of Elliott’s Joinery Works, very probably his father’s employers. However, he was ambitious and continued studying in order to pass the examination necessary to join the Civil Service; which he did earning a place in the GPO Telegraph department. He moved to London to take up his new career, where he met a Welsh lass from Bangor, Mary Catherine Williams. The two married on 2 October 1909 at St Philips’ Church, Clerkenwell. When the 1911 census was taken the happy couple were staying (probably in a visit) with Mary’s family in Bangor, where her father worked as a signalman for the LNWR (London & North Western Railway). 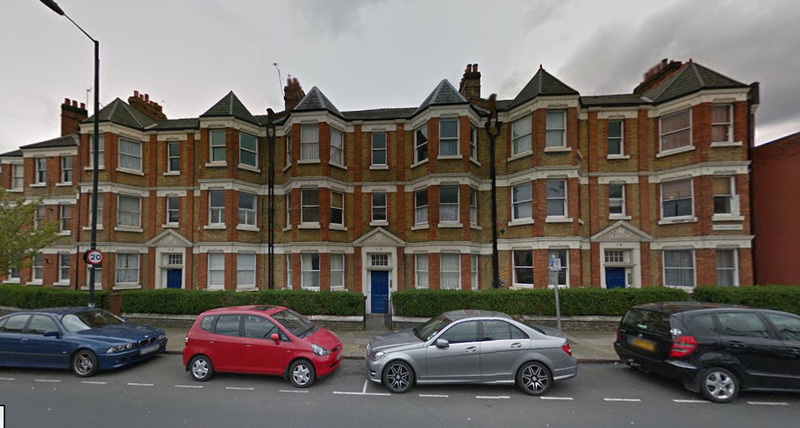 The couple lived at 9 Salisbury Mansions, St Ann’s Road, Harringay, though George gave her parent’s address as an alternative when he enlisted. At some point George served for a while with a local Volunteer battalion – the Civil Service Rifles. He may well have given this up when the volunteer battalions were converted into Territorial Force battalions as a part of the Haldane Reforms of 1908 (to continue he would have had to commit to four years further service). George’s father died some time between 1911 and 1915 – the date is not clear as he did not die in Newbury and numerous David and William Herberts died in various parts of England and Wales in this period (his birth was registered as David William and his marriage as William David). When war was declared in August 1914 George was 32 and did not immediately join up. He enlisted through the Derby Scheme, attesting on 15 December 1915. This scheme was a last ditch (and ultimately futile) attempt to avoid the need for conscription. Men enlisted at a local recruiting office by ‘attesting’ – swearing to serve and undergoing a basic medical. They then went home to await the call to serve in their group (based on age and marital status). However, it was possible to volunteer for immediate service without waiting for the group call-up; George must have done this and was given a notice requiring him to turn up for service with his chosen unit - the Royal Welsh (or Welch) Fusiliers - on 16 January 1916. Had he waited he would have been called up for service in May – which would certainly have prolonged his life. Interestingly the Army appears to have mixed up the details of his attestation so that, in May, they wrote to his employer (the Postmaster General) to determine whether they could release him for service (by this date it had been recognised that it was counter-productive to take vital employees to serve as infantry). One hopes that the response that George was already in uniform was a surprise and that such confusion was not commonplace. George was posted to the 18th (Reserve) Battalion (2nd London Welsh) which had originally been raised as a fighting unit, but was converted to a reserve or training battalion in August 1915. It was based at Bangor, which may well explain George’s choice of unit; Mary could be close by with her parents while he was training. When he had completed his training and was deemed ready for front line service (a level that varied according to the level of demand for replacements) he was sent to No 5 Infantry Base Depot at Rouen in France. George as arrived there on 17 July 1916 – the losses during the early days of the Battle of the Somme resulted in a huge demand for more men. No 5 IBD was the staging post for all Royal Welsh Fusilier battalions in France and Belgium, George could have been sent to any of them, in the event he went to the 2nd Battalion, which had not been involved in the debacle on 1 July, but had suffered many casualties when the Germans detonated a mine under their section of the line near Givenchy on 22 June. That day men of the battalion earned one DSO, two MCs, three DCMs and six MMs – a rare number of gallantry medals for a relatively small action, indicative of the ferocity of the fighting. On 20 July George was among a draft of 98 men who joined up with the 2nd Battalion at Flat Iron Copse (the battalion had moved south to the Somme front a couple of weeks earlier). That day the battalion captured High Wood (Bois de Foureaux) suffering 249 casualties in doing so – the fresh draft was welcome but hardly sufficient. The following day another 115 men joined the battalion at Buiré-sur-l’Ancre whence the battalion had withdrawn to reorganise. As it did so further drafts of men and officers arrived (327 in total). It is unlikely that George played any part in the attack on High Wood, there would have been no time to integrate the new men into companies that were probably already in action when they arrived. Another attack at night after a heavy bombardment was repulsed. 2nt Lieut C R J R Dolling and 2nd Lieut P S Wilson killed. 6 Other ranks killed and 9 Other ranks wounded. George was one of the six ‘other ranks’ to die in the early hours of 20 August, having spent a few hours short of one month with the battalion. HERBERT – Killed in action, somewhere in France, August 20, George William Herbert, eldest and dearly loved son of the late D W Herbert and Mrs James Watts, of Shaw, aged 33 years. Another “Old Newburian” who has given his life for King and Country, is Pte George William Herbert, Royal Welsh Fusiliers, eldest son of the late David Herbert and of Mrs James Watts, of Shaw. The deceased was first educated at the Boys’ British School, under Mr J C Slight, and from thence obtained a Kendrick Scholarship tenable at Newbury Grammar School. While at the latter place he gave evidence of perseverance and a determination to advance in life. On leaving school his first experience of business was in the office of Elliott’s Joinery Works. He soon, however, gave this up, entering the Civil Service. By constant study and industry he qualified for a high position in the GPO Telegraphs Department, and had quite settled down to his business when the call came for him to go on service in January last. He enlisted in the Royal Welsh Fusiliers, and after a period of training in this country, was sent on active service in the middle of July last. His fighting, however, was to be of brief duration, as he met his death within six weeks of embarking, namely on August 20th. George William Herbert was only 33 years of age, and his untimely death is greatly mourned by those who knew him, much sympathy being felt for his young wife, who is this early left widowed. His body was never identified so, although he may lie in one of the thousands of graves marked ‘A Soldier of the Great War – Known unto God’ his name is commemorated on the enormous memorial to the missing of the Somme at Thiepval, along with others from his regiment on Pier and Face 4 A. Locally he is remembered on tablet 3 of the Newbury Town War Memorial and on the Newbury Grammar School Memorial now situated in the reception area at St Bartholomew’s School. It is also probable that he is the G Herbert commemorated on the Congregational Church Memorial. 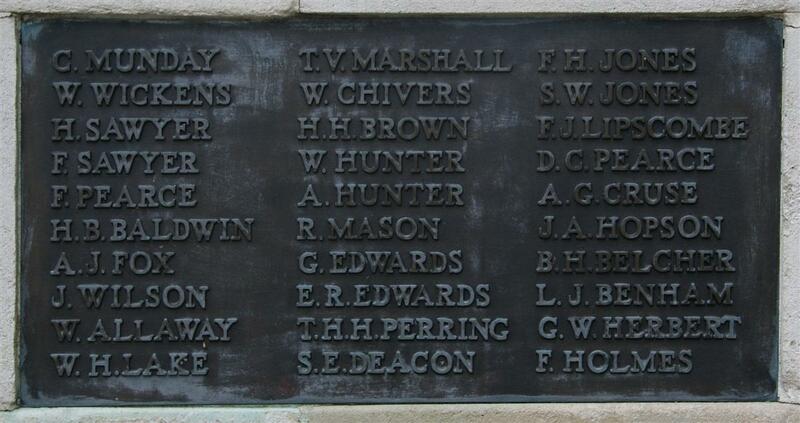 Although there is another G Herbert (George Henry) on the Newbury war memorial making positive identification impossible without further evidence. However, this second George Herbert was generally known as Henry or Harry and is, in fact, listed on the Newbury memorial as H Herbert. He is also listed (as G H Herbert) on the memorials in the Anglican parish church – where George William is not commemorated, perhaps an indicator of his being a nonconformist? In ever loving memory of my dear son, George William Herbert, who was killed in action on the Somme, August 20th, 1916. RIP.